Brrrr! 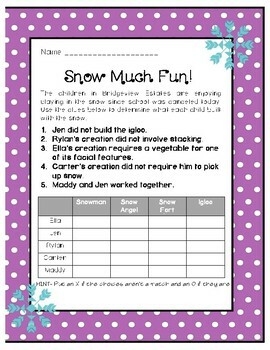 It's cold outside, and the neighborhood kids are having lots of fun creating things with snow on their day off! 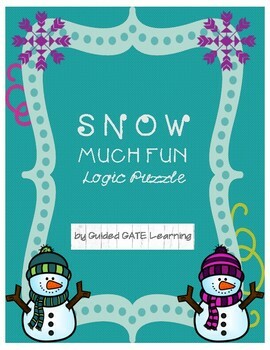 Your students will love practicing their deductive reasoning skills on this winter-themed logic puzzle as they determine what each character built in the snow.